3) The rate of tax referred to in section 5(1) of this Act to be levied in respect of the taxable income of a trust (other than a special trust or a public benefit organization referred to in paragraph 5) in respect of any year of assessment ending on 28 February 2011 is 40 per cent. g) in respect of the taxable income derived by a qualifying company contemplated in section 37H of the Income Tax Act, 1962, subject to the provisions of the said section, zero per cent. b) in the case of an organisation that is a trust, in respect of any year of assessment ending on 28 February 2011. 9) The rates of tax set out in paragraphs 1, 3, 4, 5, 6 and 8 are the rates required to be fixed by Parliament in accordance with the provisions of section 5(2) of the Income Tax Act, 1962. 10) The rate of tax set out in paragraph 7 is the rate required to be fixed by Parliament in accordance with the provisions of section 48B(1) of the Income Tax Act, 1962. 11) For the purposes of this Appendix, income derived from mining for gold includes any income derived from silver, osmiridium, uranium, pyrites or other minerals which may be won in the course of mining for gold and any other income which results directly from mining for gold. 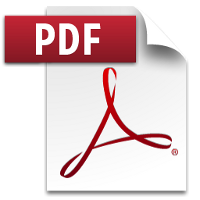 Appendix II of this document (Amendment of Schedule No. 1 to Customs and Excise Act, 1964) can be found in Government Gazette No. 33726==!Inet("http://www.info.gov.za/view/DownloadFileAction?id=134653")} dated 2 November 2010.